A special jewelry gift for pretty lady. 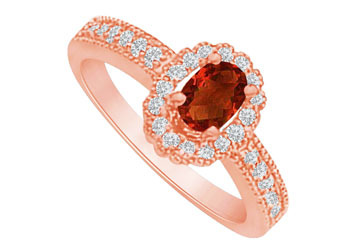 Center stone garnet is placed over 14K rose gold shank in a prong setting. CZ accents add to the glittering glow. Perfection at its best. 1.75 CT TGW.